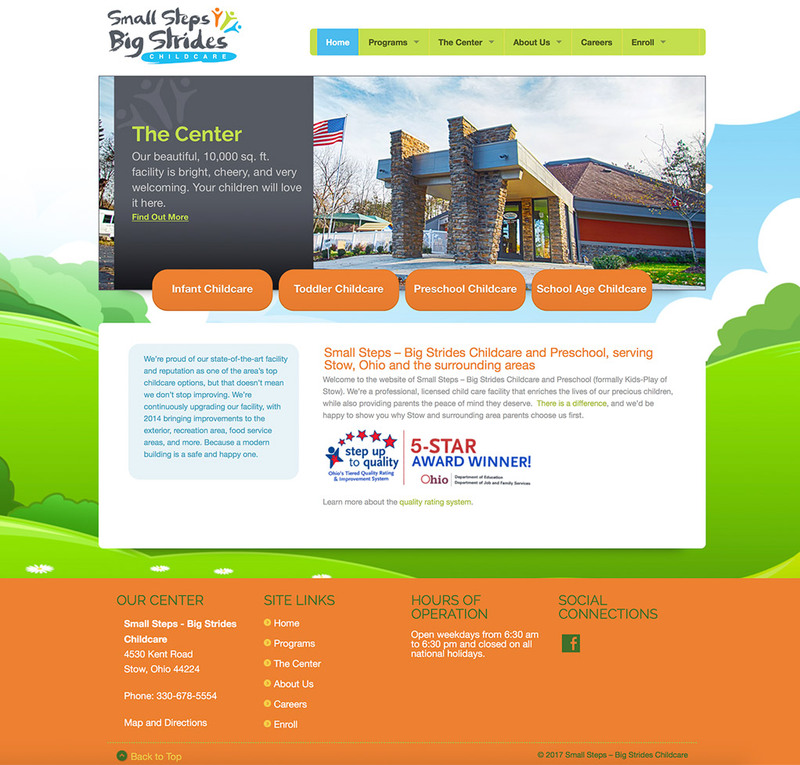 Small Steps Big Strides, a premier childcare facility in Stow, Ohio, approached Dynamics Online a few months ago about a new website. Their primary objective was to make the site user-friendly, so all visitors could easily contact them to set up a tour or simply receive more information. Supplemented by a visually appealing design and beautiful photography, this brand new website does just that. We were also responsible for the company’s brand new logo. Based on the visual bug provided by Small Steps Big Strides, we created a unique type treatment, modified the color scheme and made it more in line with the feel and branding of the new website.